The beauty of New Jersey is sometimes underestimated or perhaps the person speaking thereof is just passing judgment based on what they have seen on TV. Nonetheless, there is a reason New Jersey is called “The Garden State” and we love to show off its good attributes. Mel and I always look forward to “Sister’s Day.” This usually involves some outdoorsy adventure, a good meal, and Melissa. Melissa and I started the day with affogatos on the front porch of my Mom’s house while we watched runners and bikers pass. I made us egg and cheese sandwiches for the road and we picked up Mel ten minutes away. 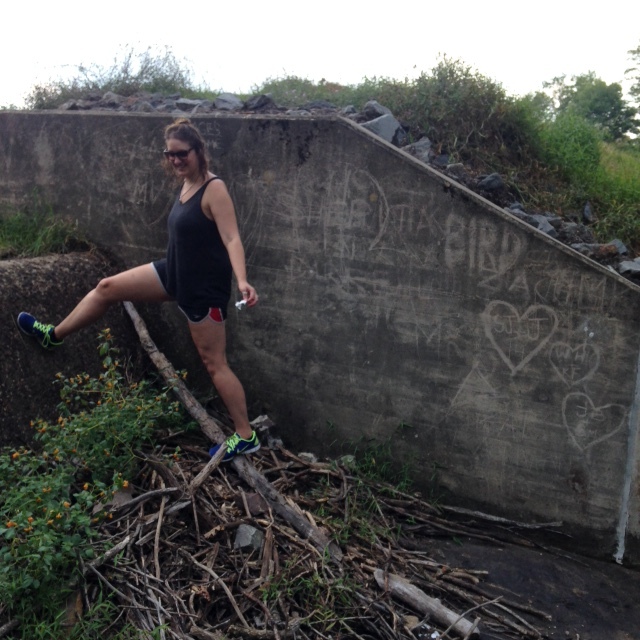 We took a scenic route through the windy, secluded roads of Walpack, New Jersey to Blue Mountain Lake. The area is quiet with only two other cars at the trailhead. We took off into the woods for a hike and hopefully a swim. The trailhead here leads you to Blue Mountain Lake, Hemlock Pond, and an even further hike to Crater Lake. This is a beautiful part of Northern New Jersey to take in the views of the wildlife. We walked about a half mile to the shores of Blue Mountain Lake and decided we wanted to continue further to Hemlock Pond. The trails here are marked, but not with much direction as to where they will lead you and most spots offer multiple ways to go. 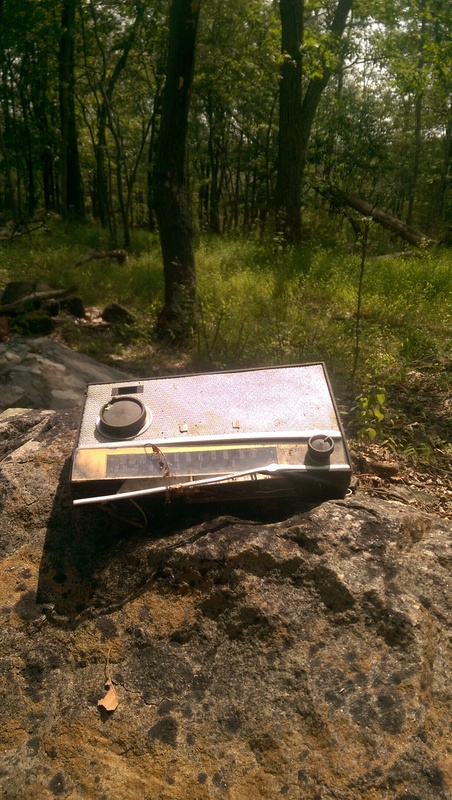 We made a few lefts and came across an old radio and what appeared to be some sort of ventilation device (items that are usually not found in the middle of the woods). 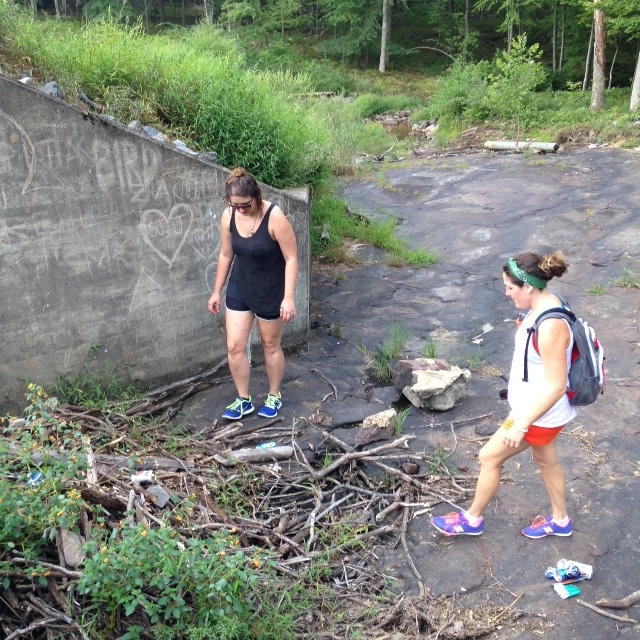 We kept going past tons of mushrooms and through spider webs, while different types of frogs jumped over our shoes. 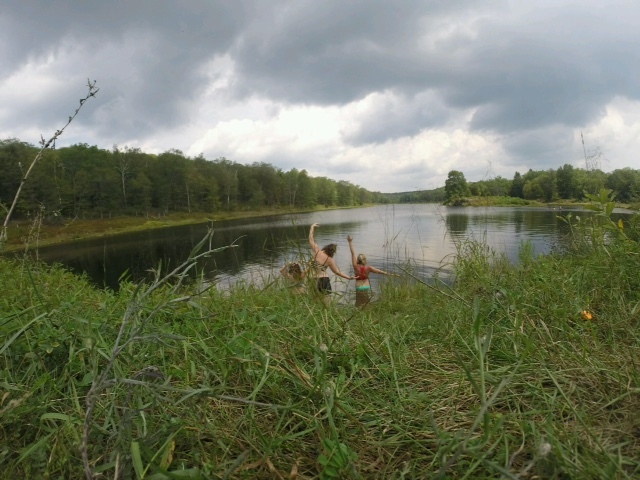 To our surprise, instead of ending up at the pond we were back at the lake! Typical. We walked the shoreline again, picking up trash left behind by others. We took a dip in the refreshing waters of Blue Mountain Lake, perfect for a humid afternoon in NJ. People enjoy the beauty and luxury of this lake only a half-mile from the parking lot, but unfortunately forget to pack it out! We grabbed as many cans and wrappers as we could and headed to the car. We drove through the picturesque Peter’s Valley and stopped at a vegetable stand on the side of the road to support local farmers. 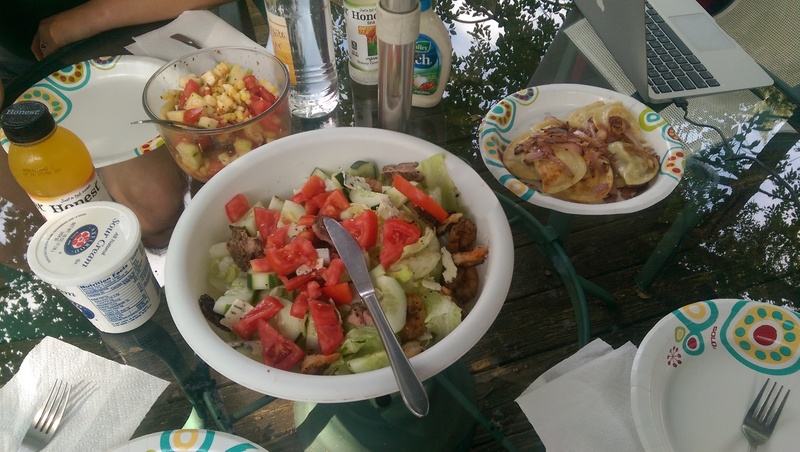 We went back to my Mom’s to enjoy the beauty of Culver’s Lake and shared a wonderful lunch with our local produce. Some of our summer favorites from this area are Jersey’s corn and tomatoes. This was a perfect ending to a day that doesn’t happen often enough but is cherished every time.